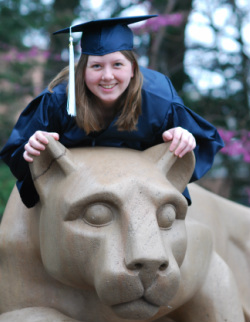 I graduated from Penn State University May 2012 with a B.A. in Public Relations and sociology minor. I played ice hockey for all four years and am a brother of Phi Sigma Pi, the only national co-ed honors fraternity. I also participated in the John Curley Center for Sports Journalism. I currently work in higher education in university information. I'm a fan of the Colorado Avalanche, Baltimore Orioles and anything Penn State.